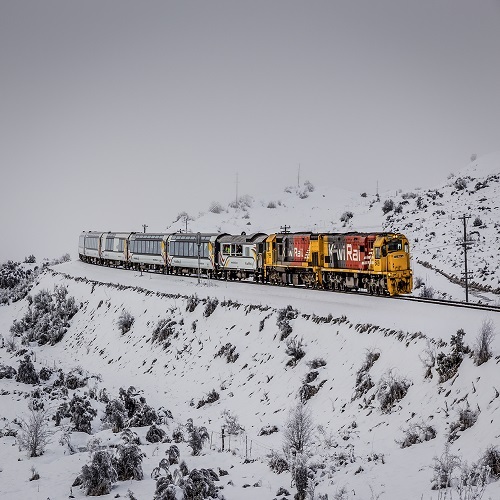 The Tranz Alpine train operates daily between Christchurch, Arthurs Pass and Greymouth - from the east coast to the west coast of New Zealand's South Island. Travelling west crossing the Canterbury Plains, the train slowly ascends through spectacular gorges and river valleys of the Waimakariri River towards the Southern Alps to the alpine village of Arthurs Pass for a short break before descending through the Otira Tunnel to the West Coast of New Zealand's South Island, through lush alpine beech rain forests to Greymouth - a great base for visits to Punakaiki and the always popular glaciers at Franz Josef and Fox Glacier. The train's carriages have an advanced air bag suspension system for quieter and smoother travel, un-tinted, non-reflective, panoramic side and roof windows to capture the beauty of the Southern Alps and alpine forest landscape views of the central South Island, GPS triggered journey commentary in five languages at your seat via headphones, plus information displays and overhead HD video and are centrally heated/air conditioned for passenger comfort. 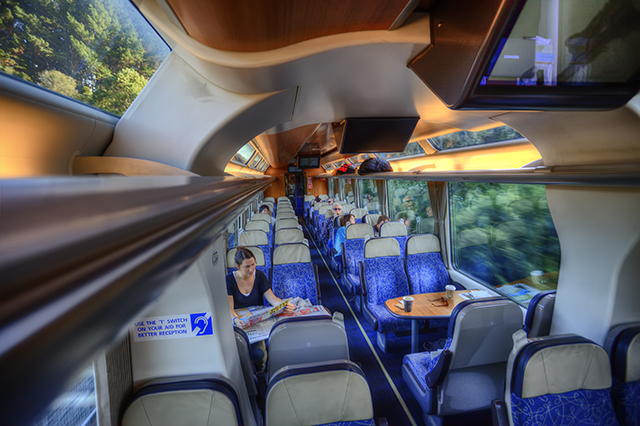 Each carriage has onboard washroom/toilet facilities, with '2 Seat-Aisle-2 Seat' seating either as reclining forward facing seats with head and foot rests or 'Table Group' (4 people around a table) seating allowing you to experience the amazing views of the magnificent South Island, through panoramic side and roof windows, while enjoying the company of other passengers. 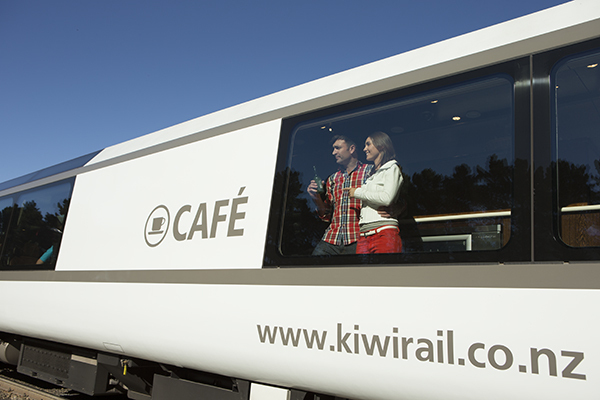 This train has a café carriage offering a range of alcoholic and non-alcoholic drinks, snacks and light meals and an open viewing carriage for views of the Southern Alps and alpine rain forest landscape of the South Island's west coast. The Tranz Alpine train is a reserved seating 'One Class/Non-smoking' service. 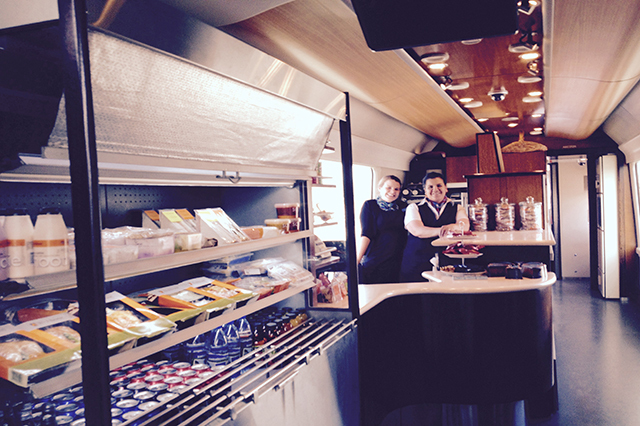 For hearing-impaired passengers - a hearing loop covers all of the café carriage saloon and serving area. The Tranz Alpine train operates daily all year round. Stops along the route include Rolleston, Darfield, Springfield, Arthurs Pass, Otira, Moana (Lake Brunner) and Kokiri. Service Information: Due to work in the Otira Tunnel and other track maintenance, this train service will run between Christchurch and Arthurs Pass only and will be replaced by bus between Arthurs Pass and Greymouth on the following dates 06th May, 17th June, 29th July, 09th September , 21st October and 25th November 2019. You can travel from Greymouth along the west coast down to Franz Josef, Fox Glacier, Wanaka, Queenstown, Milford Sound or up to Punakaiki, Westport, Nelson and back to Christchurch by scenic bus/coach. There is also a range of suggested 'Hop On/Hop Off' bus pass travel options available. You can take a day excursion from Christchurch to either Arthurs Pass or Greymouth travelling on the Tranz Alpine train. So, sit back and enjoy a genuine kiwi rail experience through the rugged Southern Alps and alpine rainforests of the South Island.